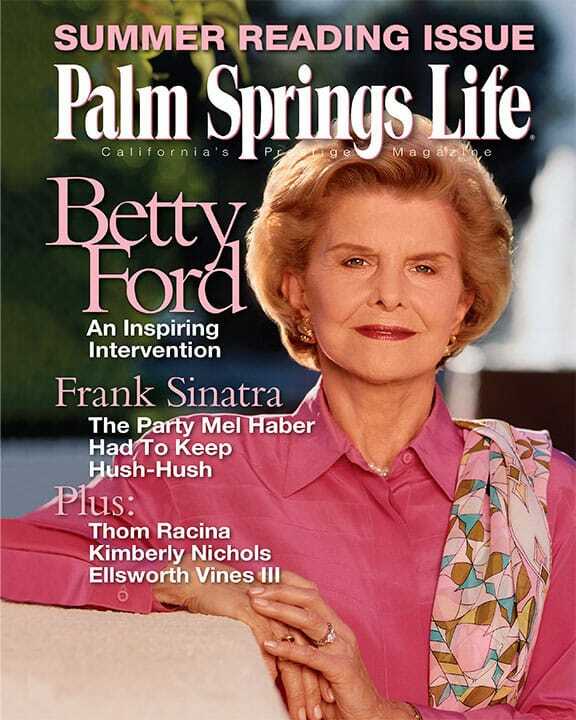 View cart “Palm Springs Life Magazine December 2004” has been added to your cart. ON THE COVER — Hunter II (2001), blown glass, by William Morris. Photo by Rob Vinnedge. 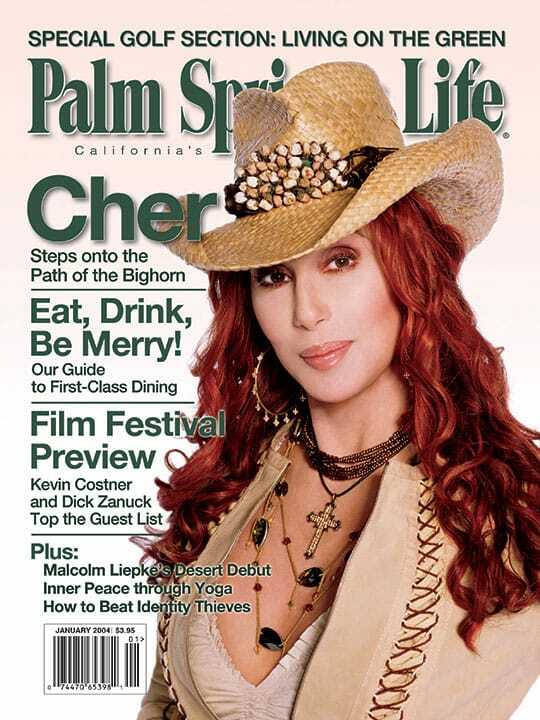 Courtesy Palm Springs Desert Museum. 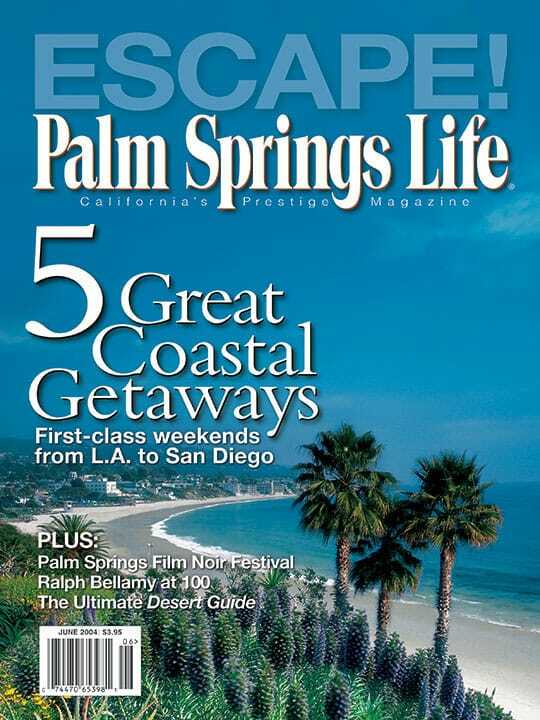 Transcending the array of fine art in Coachella Valley’s numerous galleries and museums lies an indelible history and culture that naturally beget today’s riches. 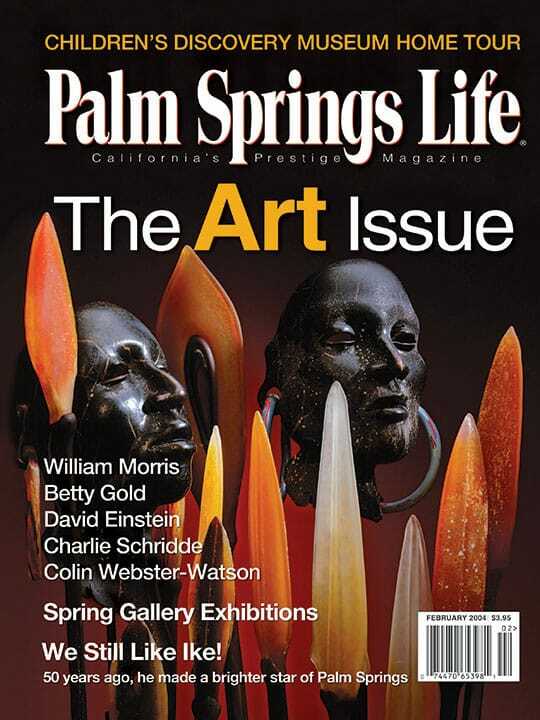 Collectors and enthusiasts must be acutely attuned to the scene to acquire the compelling pieces of Palm Springs-based painters David Einstein and Charlie Schridde and sculptor Colin Webster-Watson. Artists in residence soothe patients’ souls as they recover at Eisenhower Medical Center. The president’s visit to the desert a half-century ago inaugurated a lasting relationship between the man and the region. An exclusive look at the properties on the Discovery Home Tour. 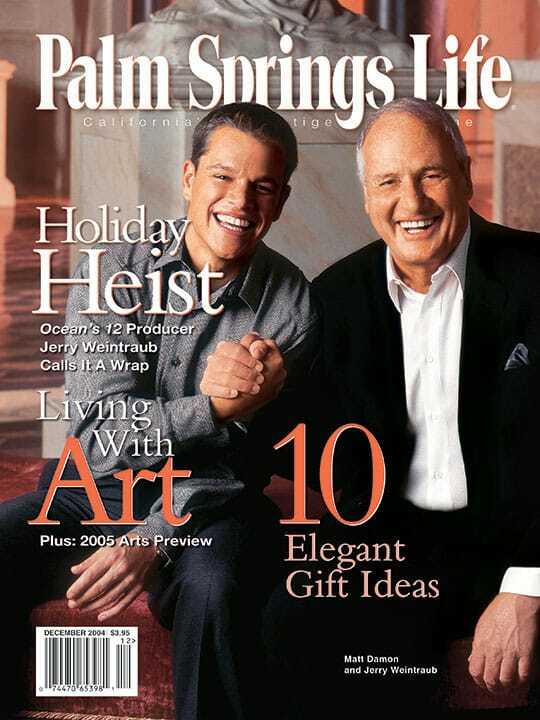 Fashion, jewelry, fine art, home design, beauty, dining … Treasures every step of the way!